We know that there are lots of really nice knives with gut hooks on themarket. We also know from experience that sometimes you have a hunting or skinning knife you really like, but it lacks the convenience of a gut hook. Or maybe you just do not want a gut hook sticking out the top of your knife. Well, Kershaw has developed a solution for this dilemma. 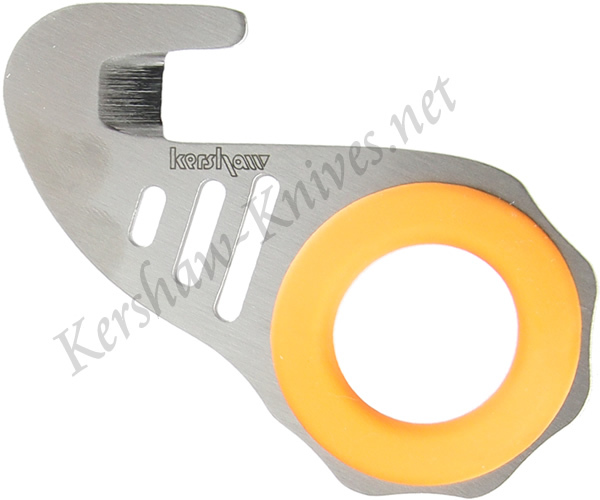 The Kershaw Zipit Gut Hook 2520 is a 3.74 inch device with a .5 inch 420J2 stainless steel gut hook blade. A rubber coated finger hole has been designed into the handle for easy, comfortable operation. The bright orange color of the rubber insert makes it easily seen if dropped.